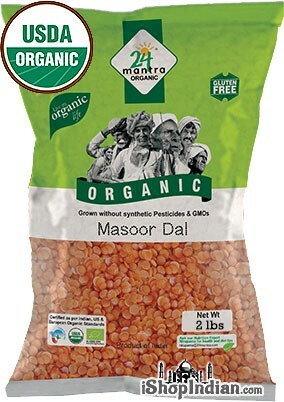 Organic masoor dal has a delicate, nutty flavor with a smooth texture. These split red lentils are one of the fastest-cooking lentils. 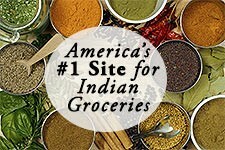 They go excellent with strong spices and herbs such as garlic, ginger, tamarind, cilantro and curry leaves. 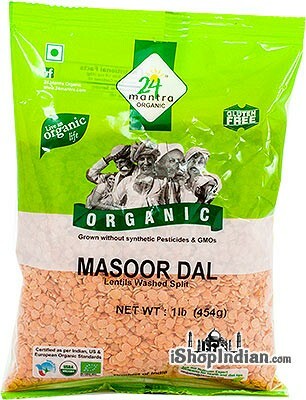 Masoor dal is used throughout the world from Turkey to Saudi Arabia to India. 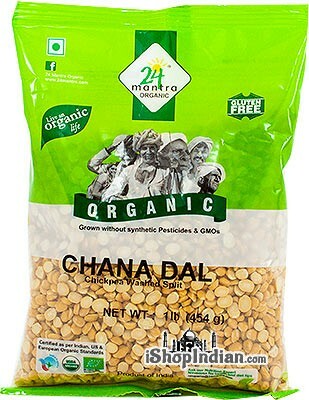 For Kichidi: To two portions of rice or dhaliya, add one portion of 24 mantra Panchratna dal. Cook with 7-8 portions of water. Immediately after cooking, add salt, cumin, crushed pepper, chopped ginger, ghee and fry. 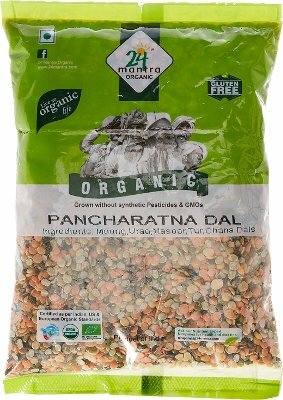 For Adai / Tamilian style Mixed Dal Dosa: To two portions of rice or dhaliya, add one portion of 24 Mantra Panchratna dal. Cook with 7-8 portions of water. Immediately after cooking, add salt, cumin, crushed pepper, chopped ginger, ghee and fried cashewnuts and mix thoroughly. Serve hot. 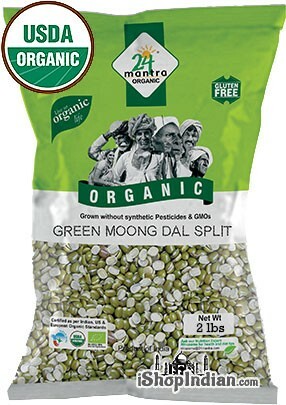 Ingredients: *mung bean split, *black gram split, *lentils hulled split, *pigeon pea hulled and split and *chickpea hulled and split. *are certified organic. 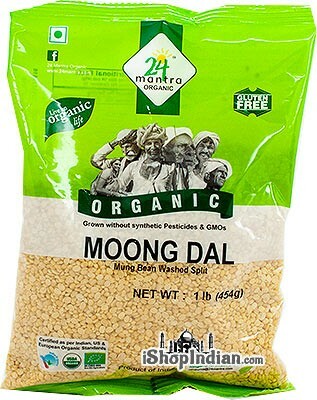 Organic moong dal is produced by taking organic whole moong beans, splitting them, and removing the outer green layer. 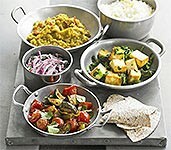 The resulting moong dal is a fast cooking, nutritious and earthy flavored lentil. 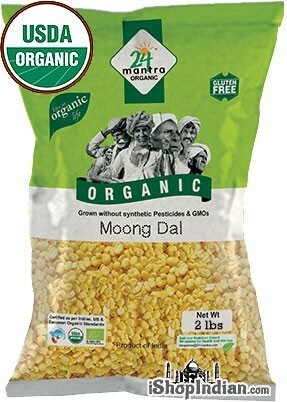 Moong dal is also very easy to digest. 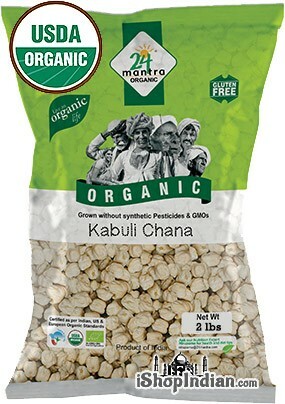 Organic Mung beans are native to many parts of the world. 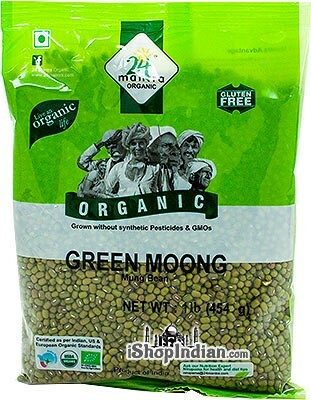 There are several names for these beans: Moong beans, Mung Beans, Green Gram, Golden Gram. They are consumed in India, China, Thailand, Philippines, Indonesia, Burma and Vietnam. They can also be sprouted into bean sprouts. 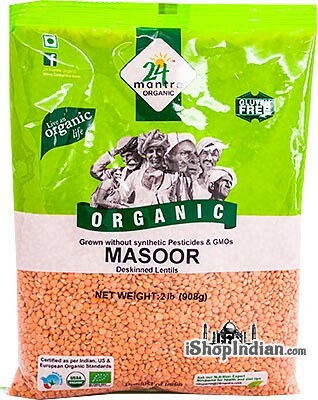 Moong beans are a good source of protein and dietary fiber. They are low in fat and rich in B vitamins, potassium and calcium. 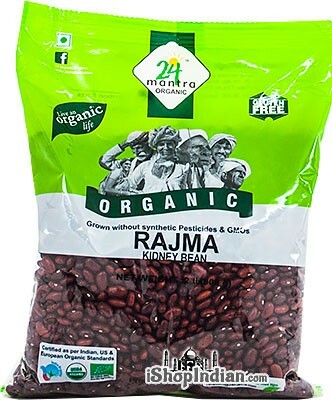 Himalayan Rajma are a smaller, more plumper kidney beans. They are most commonly used to make the famous "Rajma" curry dish for their soft cooked consistency.s are a rich source of manganese, molybdenum and protein. They are high in fiber and have a low glycemic index.